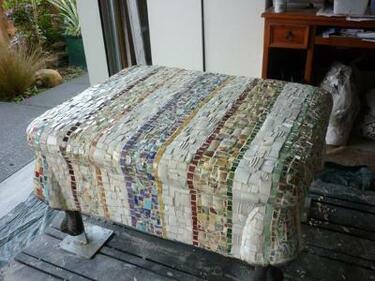 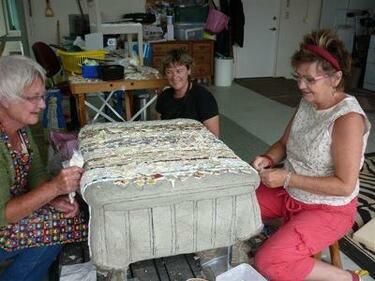 A photograph of a member of Crack'd for Christchurch using pieces of broken china to create a mosaic on their ottoman. 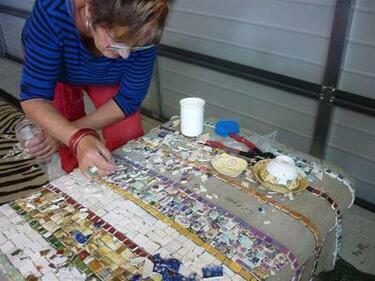 A photograph of the completed mosaic on Crack'd for Christchurch's ottoman. 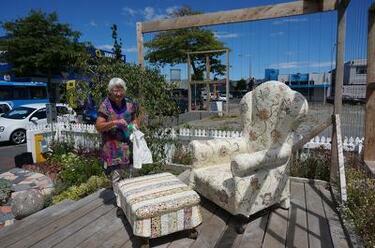 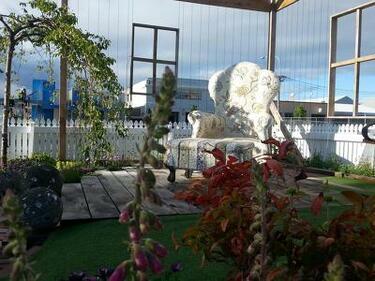 Crack'd for Christchurch comments, "May 2014. 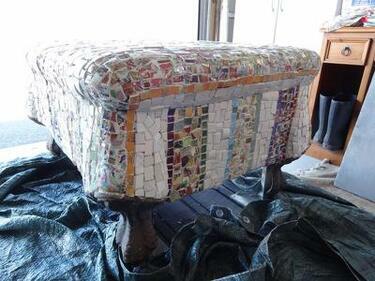 Otto finished and ready to go."